Complete a short registration profile and confirm your email address and you’re in. You must be 18 or older. There are literally hundreds of tasks and surveys to complete in order to earn at Creations Rewards. You may only receive a few cents for visiting a website or watching a video, but it only takes a few seconds and adds up quickly. Surveys pay up to $2 depending upon length and complexity. Members can also take advantage of the referral program, which pays you 10% of your referrals lifetime earnings. Once you reach the minimum cash-out level of 1000 points ($5), you will find it simple to access your account and choose among a host of different reward options. Choose from a variety of store gift cards that include Walmart, Amazon, and other big retailers. If store gift cards aren’t your thing, you can select prepaid debit cards and even PayPal cash. Once you have submitted your request, you can expect to wait anywhere from 4-6 weeks for your transaction to process. Creations Rewards has one of the better support desks in the industry. They don’t hide their support information in some remote part of the site. Simply login to your account if you’re having difficulties and open a support ticket with ease. There’s tons of ways to earn with this program, but payments tend to be a bit on the lower side. You don’t have to worry about getting paid for your time, but that trip to the Caribbean will have to wait. At 4 to 6 weeks, the processing time is also a little bit longer than average. Creations Rewards has a few features you won’t find anywhere else. They offer a daily trivia game where you can earn points for your knowledge. In addition, they will also run “social media posting” contests where you can receive promo codes. See the site for more details. Another thing that makes Creations Rewards a solid offering in a multi-program approach to paid surveys is their referral program. If you actively blog or have a lot of friends on social media, referring your friends to the program can help you quickly rack up points and rewards. Creations Rewards is one of the more reliable “get paid to” sites and is similar in function to CashCrate. The account dashboard is well set up, making it easy for you to find all kinds of opportunities to make money. They don’t pay the best rates out there, but Creations Rewards is ideal way for avid Internet users to make extra money in their spare time. If you’re getting burned out on surveys, this site offers things like listening to Internet radio, visiting sites, and reading emails as an alternative. Creations Rewards has been in business for over 13 years and has always had a great reputation for payment and customer service. This program won’t make you a millionaire, but you can definitely count on them for a nice trickle of cash flow. Here’s a summary from the official Creations Rewards website. 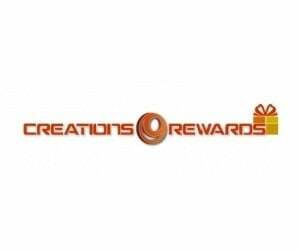 CreationsRewards enables you to earn rewards for what you already do online. And, membership is always FREE. Read below about how you can earn “CR Points” for the things you do online. Then, find out how you can turn your points into gift cards to leading nationwide stores. It’s very easy! I have been waiting for months for my Target gift cards. They claim they redeem in 7 /14 days, but hat is not true.. please give me my gift cards. I have getting very upset with his dishonest survey company..Very very bad customer service. No answer to any of my pleas for payment. I have been trying to log onto the web site for more than 4 days. I have over 6,000 points. The help menue is no help, as I have requested help several times. I have been unable to reset my password, because I receive no response via e-mail. I still receive survey requests, and I have received responses, asking me to respond to the help request. But, nothing has been done. Please write a brief, honest review based on your personal experience with Creations Rewards. All reviews will be moderated.